The Carbon Institute is a program of the Greenhouse Gas Management Institute, its mission is to lead partnerships that promote innovative and interdisciplinary science, education and cooperation to better measure and manage carbon. The Carbon Institute is an international partnership to build country capacity to reduce GHG emissions. Together as The Carbon Institute, the GHG Management Institute is working with in-country partners to build academic programs in Terrestrial Carbon Accounting (TCA) in China, Indonesia, and Cameroon. For information on the genesis of the Carbon Institute’s terrestrial carbon accounting curricula, please read the 2013 Raising the REDD+ Bar Report (Spanish) on the first academic Advanced Certificate in Terrestrial Carbon Accounting, accredited by the University of California San Diego. If you would like more information on the Carbon Institute’s work to build international academic partnerships in carbon, please contact us. The Carbon Institute ( “Terrestrial Carbon Accounting International Academic Partnership”) is part of the International Climate Initiative (IKI). 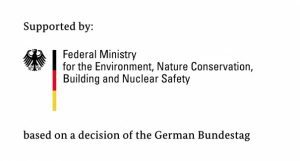 The Federal Ministry for the Environment, Nature Conservation and Nuclear Safety (BMU) supports this initiative on the basis of a decision adopted by the German Bundestag. 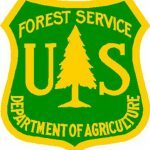 And through generous support from the United States Forest Service.